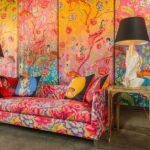 With so much of our time spent looking at screens, who doesn’t relish the hands-on experience of a good book full of inspiring images and words – bound in paper fiber? 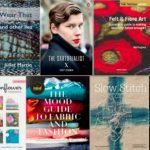 Find 20 such books on textiles and art here, all published in 2015, to give or get for that delightful analog joy. Purchase them through Amazon.com’s philanthropic programs to generate a donation to support SDA – at no cost to you…. 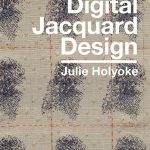 Well-known weaver/educator Bhakti Ziek gives a big thumbs up to this new book in print by SDA Member Julie Holyoke. Let Master Weaver Ziek take you through her experience of the gorgeous photography and comprehensive technical information provided by this important new weaving resource….